Click the first "+" button on toolbar and tell Beyond Sync what do you want to do. 2. Select source folder and target folder, then click "OK"
5. 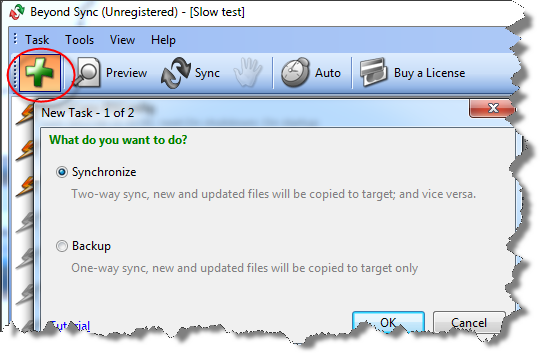 If everything looks correct, click "Sync" button to start sync. Now, your file are synchronized! It's that easy. How to keep files in sync automatically? 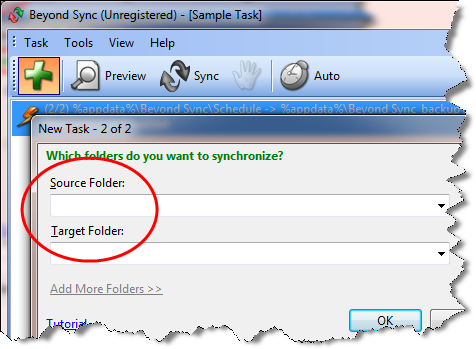 Beyond Sync has two types of automation: real time sync and scheduled sync. You can choose one of them or enable both of them at the same time.